Pediatric chiropractic is concerned with giving babies and children the opportunity to develop and function optimally. 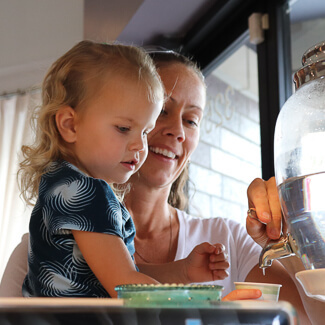 At Total Balance Chiropractic we believe it’s vital for kids to get off to a good start in life by enhancing that function. 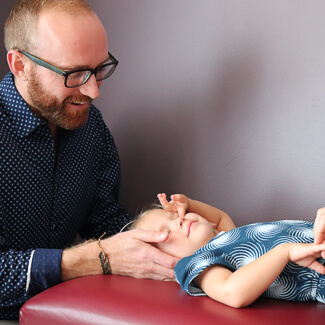 As your pediatric chiropractors, we love helping children thrive through chiropractic adjustments. 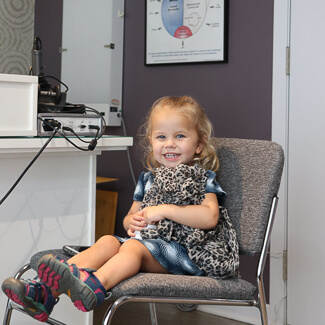 Our treatment is safe and effective, and we find that kids of all ages respond rapidly to our gentle care. Many studies in the field of obstetrics have concluded that the correct positioning of the baby in utero affects the birth outcome. Ideal womb positioning also minimizes the potential for undue stress on the baby’s developing spine. Recent research also demonstrates that prenatal chiropractic helps the pelvic floor to relax, ensuring an easier exit for the baby through the birth canal. Dr. Andrea and Dr. Luke are both certified in the Webster Technique, which is a world-renowned approach for optimizing pregnancy and the birth process itself. We receive many referrals from obstetricians for our specific approach with pregnant moms; our treatments are noninvasive, drug-free and provide considerable relief. We feature specialized adjustment tables for a comfortable session so that moms can experience the best possible pregnancy. Our office encourages all new mothers to come in for an evaluation when they first learn they’re pregnant. We accept insurance; call today for an appointment!